From Adam Crippen: I have located a post card which appears to be taken circa 1900. 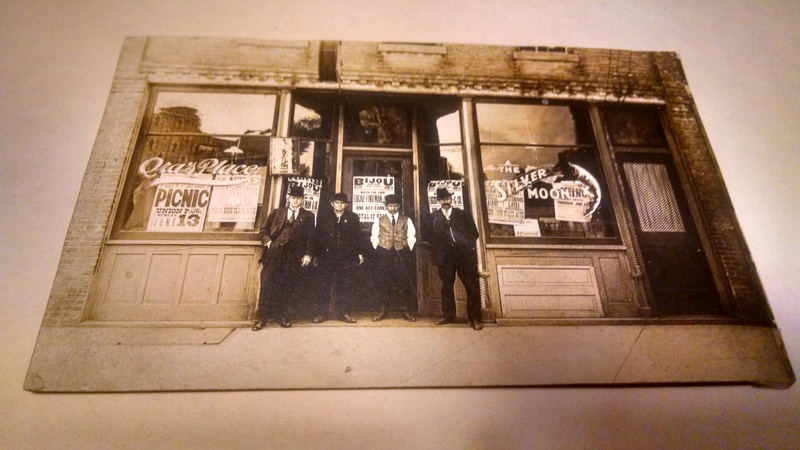 We believe the photo to be taken in Racine in front of a business named either “Qra’s Place/Ora’s Place” or “The Silver Moon” The photo shows four men in suits standing in front of the business. Banners in the business windows are taking about “Annual Picnic in Union Grove on Thursday June 24th” Others are talking about “One-Act Comedy” “Edgar Foreman *** ” the week of June 14th. I am not sure if the post card is from Racine or Union Grove or other nearby town. 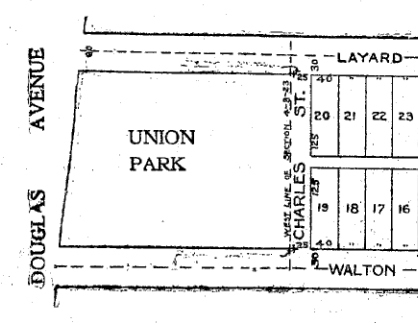 From Rip Holly: From a quick look…it might be 1338 Washington Avenue. 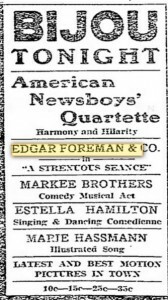 A 1910 newspaper ad lists The Silver Moon at that address…and also lists the owner as Ora Berkey (from newspaperarchive.com). 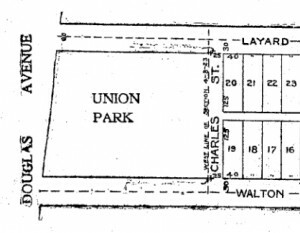 From Todd Wallace: 1900 United States Census for Ora Berkey b Dec 1868 — seems like the right age for a saloon owner in 1900, so she would have been 42 in 1910. 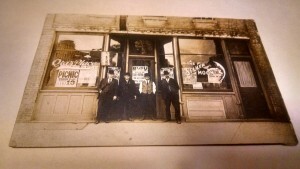 From Rip Holly: Looks the pic was taken in 1909. 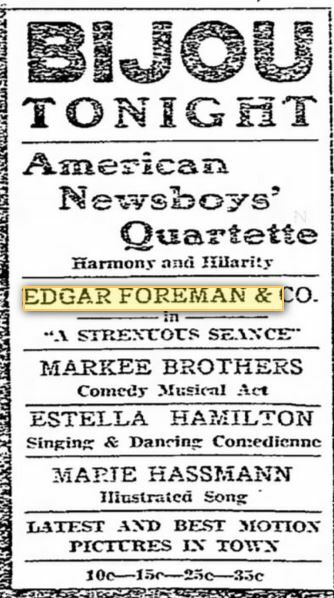 From Todd Wallace: Edgar Foreman (poster in postcard) was playing in a Bijou Theater in Oshkosh in 1910, so the poster in the photo may be from around 1910.